Blog. KIN & KiDS Marriage, Family, Child Therapist & Counselor. A fortnight ago, a 32-year-old Taiwanese man died of exhaustion after a 3-day game marathon at a cybercafé! While not everyone would end up dead playing internet games, many young people today spend hours on end “binge gaming”. What makes these games so addictive? Computer games have evolved greatly from Disc Operating System (DOS) based games to animated games to what is now known as Role Playing Games. Massive Multiplayer Online Role Playing Games (MMORPG) is the “in thing”. KIN & KiDS congratulates Charis Wong for being the first Malaysian to receive the Registered Play Therapist (RPT) credentials offered by the Association for Play Therapy, USA (APT). To earn the prestigious Registered Play Therapist (RPT) credentials, one must have earned a traditional masters or doctorate mental health degree from an institute of higher education, 150 clock hours of play therapy graduate-level specific instruction, two years and 2000 hours of general mental health clinical experience, 500 hours of supervised play therapy specific experience, 50 hours of play therapy supervision, and be licensed by their state or national board of practice. Our Kuala Lumpur office had moved to a new location. Check it out here! 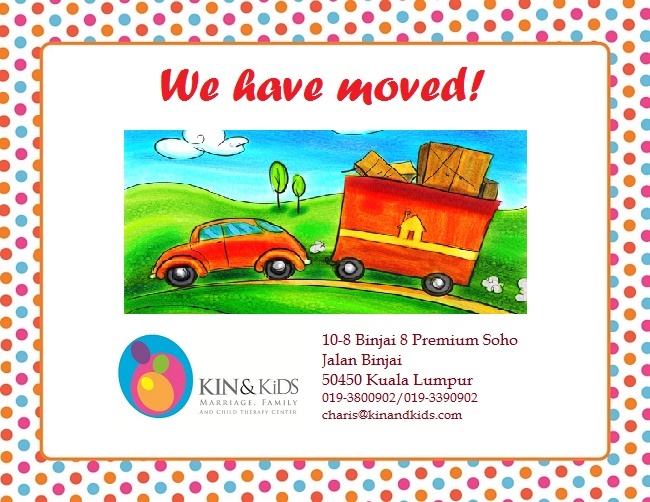 Located in the heart of the Kuala Lumpur City Center district, just a three-minute walk away from the LRT station, our new KIN & KiDS main office is housed in a building with top security and sufficient parking. We hope to create a warm and inviting environment for our clients. Read more about our services here! HELLO PJ! 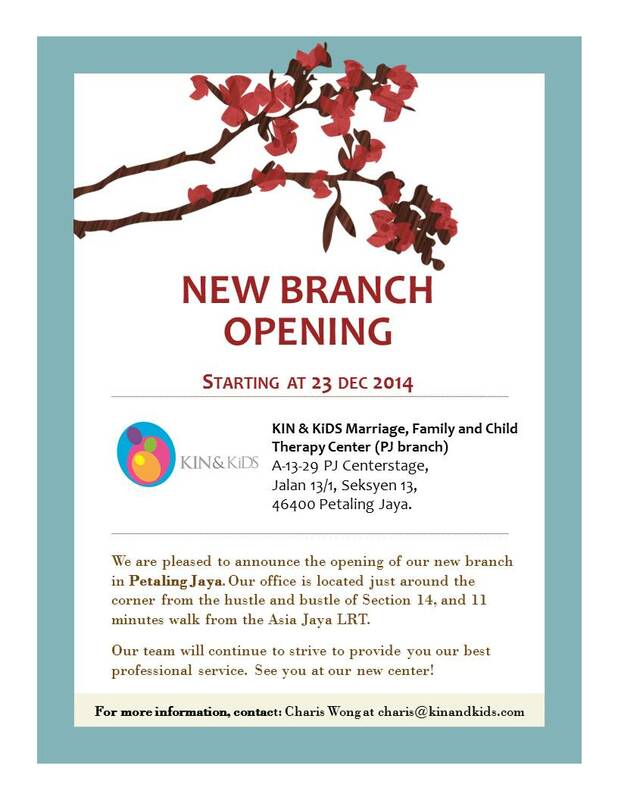 We are very happy to announce that our new Petaling Jaya branch is starting its operation on Monday, 23 Dec 2014! Our team looks forward to serve you better with this new location, in addition to our existing center in KL city. See you at our PJ center! Read more at our facebook page. 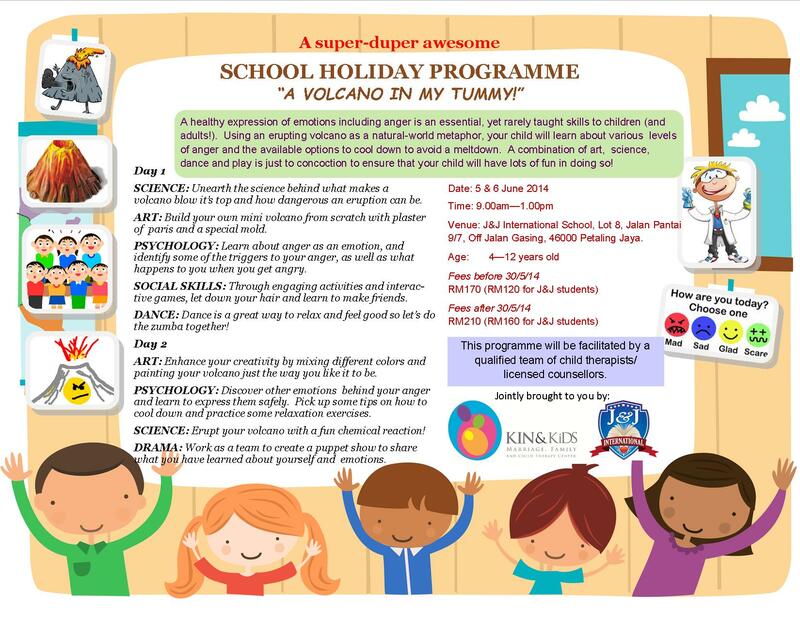 KIN & KiDS is now offering its School Holiday Programme in collaboration with J&J International School. A healthy expression of emotions including anger is an essential, yet rarely taught skills to children (and adults!). Using an erupting volcano as a natural-world metaphor, your child will learn about various levels of anger and the available options to cool down to avoid a meltdown. Psychology, combined with art, science, dance and play is just to concoction to ensure that your child will have lots of fun in doing so! Sandtray is one of the most versatile, assessment and therapeutic tools that does not require purchase of expensive hard-to-get materials. 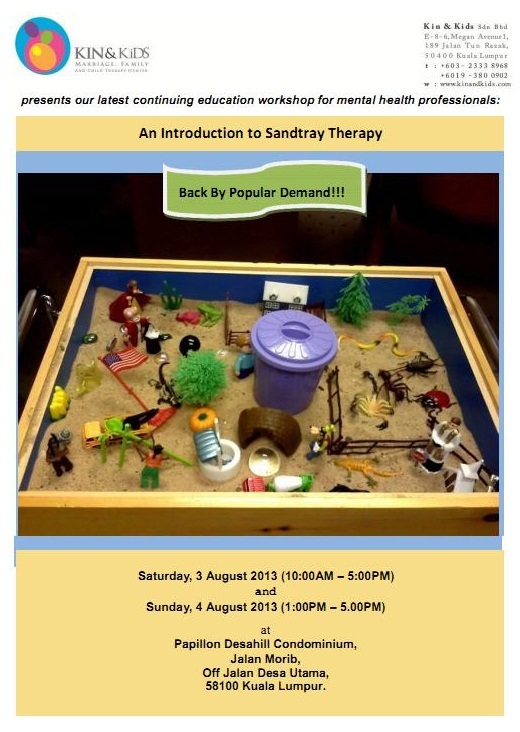 This is an introductory workshop on the humanistic approach to sandtray therapy, where participants will be provided with information, rationale and value of using sandtray therapy in a variety of settings and with various types of clients. KIN & KiDS is organizing an afternoon tea talk and discussion with Dr Charles Goza, LMFT (California), Minister and former missionary in Malaysia on 17 November 2012 (Saturday). The topic is “Integrating the Christian Faith with Secular Therapy”. This event will be hosted by the Family Life, Full Gospel Assembly Kuala Lumpur. Details are in the brochure attached. 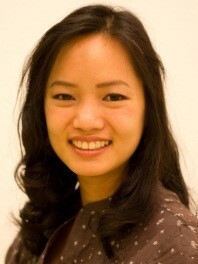 Kin & Kids is offering 4 free individual counselling sessions with intern therapist, Robin Saunders. 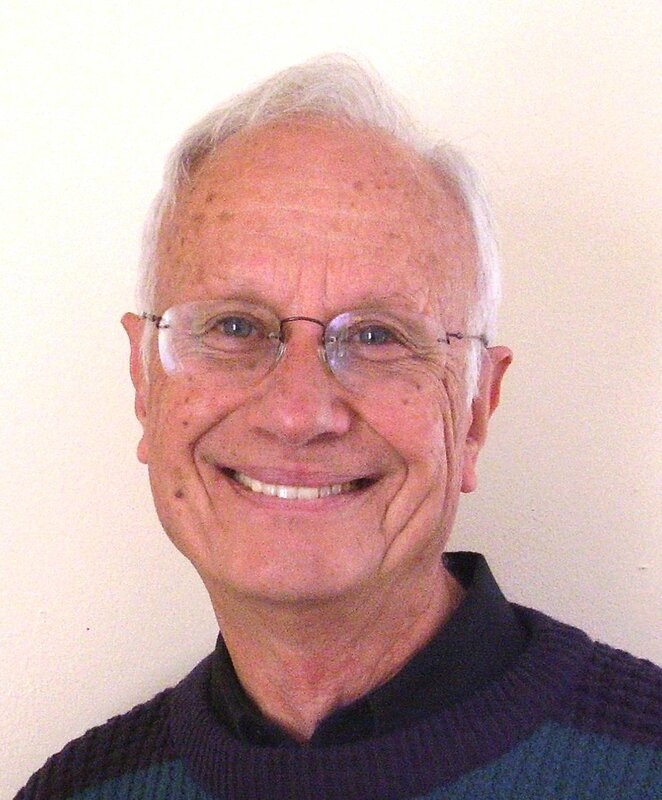 The last session will be videoed for educational purposes, to be viewed by Robin’s lecturer in Australia, after which time the video will be immediately destroyed. All information remains confidential, and no identifying names are used. Conditions Apply. Have you recently graduated from a Bachelors in Psychology program? Are you looking for some working experience in the field of psychology while applying for graduate school? Would you like a first-hand experience of the daily activities in a private practice? Kin & Kids present our latest continuing education workshop by US-Licensed Marriage & Family Therapist Supervisor and Associate Professor Dr. Lim Mee Gaik, “Restoring Hope and Constructing Optimistic Outcomes in Couple and Family Therapy Using a Reflecting Team Approach” on 1 & 2 June 2012. Space is limited to 20 participants only. Register now to secure a place in this popular workshop!